Anticipatory anxiety is when a person experiences worry and fear when thinking about an event that may occur in the future. This is particularly debilitating as it can begin anywhere from a few minutes beforehand to years before the proposed event. In some cases, the incident in question might not even be certain to take place. During attacks of anticipatory anxiety, individuals are drowned in potentials of what may happen during the event. They usually sort through every possibility that could go wrong, becoming unable to focus on anything else. Those with anticipatory anxiety find themselves wondering "what if," followed by something awful, constantly. When approaching an important event, such as making a speech, many experiences the usual side effects of heart racing, sweaty palms, or butterflies in the stomach - all signs of anticipatory anxiety. However, when these are a daily or hourly occurrence, at much smaller events, the condition is considered more serious. Often, the symptoms become worse and include shortness of breath, dizziness, or even numbness. In fact, some people become so alarmed by the symptoms they experience that they believe a fatal illness is a culprit, often that they are having a heart attack or seizure. When the occasion nears, those with chronic anxiety experience fear and stress, anticipating the worst possible outcome, and often react by avoiding participation in activities. As a result, sometimes the feeling of a loss of control, depression, frustration, and distraction can arise when the fear disables you from concentrating on anything else. Chronic anticipatory anxiety can even stop people from participating in their favorite hobbies or seeing their most loved friends and family. There are different levels of anticipatory anxiety, relating to how much of a burden the anxiety is to someone's life. When worrying about something in the future is present for over a month, it is classified as chronic anticipatory anxiety. Anticipatory anxiety often stems from or is intensified by, previous occurrences that aroused fear. For many with panic disorder, their first panic attack comes on naturally, without any warning signs. However, from that point on, many fear another panic attack itself. So, in effect, people with anticipatory anxiety become worried about worrying. It is little known, but phobias are a form of anticipatory anxiety. They actively fear their phobia and go out of their way to avoid it - whether it be heights, spiders, or enclosed spaces. The anticipation of meeting that fear arouses too much anxiety, so they avoid the potential altogether. Anticipatory anxiety is not its condition, but a symptom of other conditions such as generalized anxiety or panic disorder. In severe circumstances, anticipatory anxiety can cause agoraphobia. The answer to this question is yes and no. Everyone will experience anticipatory anxiety at some time throughout their life (often before a big job interview, speech, or first date), and this is normal. However, when anticipatory anxiety occurs regularly, regarding events that are not normally considered impactful, important, or scary, then the condition can be problematic and is often caused by panic disorder. Anticipation anxiety with panic disorder often results in fearing a panic attack in the future, instead of the event precipitating the attack itself. For some, even something as seemingly small as going outside can trigger this reaction. Anticipatory anxiety can exist both in the conscious and unconscious. Sometimes, people will go through their days fretting what is to come in the next moment, hour, or day. However, sometimes it can be more complicated. The tension creeps itself into dreams or manifests itself in outbursts that the person cannot understand or even control. In these subconscious circumstances, it is important to understand the underlying fear to attack it head-on. Often, speaking to a therapist will be helpful in this journey. Of course, everyone has fears and things in life they would prefer to avoid. However, for those with anticipatory anxiety, it is important to face these fears as soon as they arise. Instead of pushing off a meeting that you are sure to worry about, schedule it as soon as possible to limit the time of worry in between. 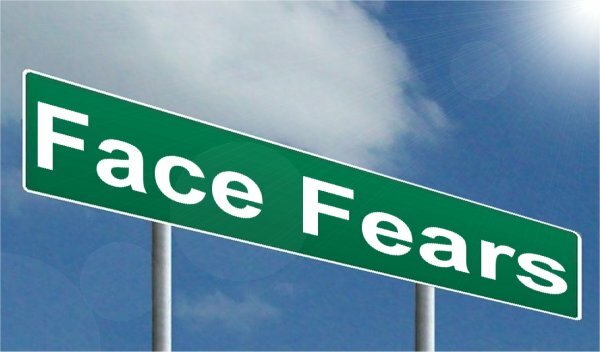 If you continue to face the fears as they arise, the anticipatory anxiety is likely to diminish as it becomes increasingly clear that it is often unwarranted. Should anticipatory anxiety be focused on something like driving, it is important to drive as often as possible to defeat the worry and tension surrounding the activity. The more you get used to this going well, the less realistic it will seem for problems to arise. Sometimes, medication such as SSRIs and anti-anxiety drugs will be necessary to treat this type of anxiety or panic disorder. 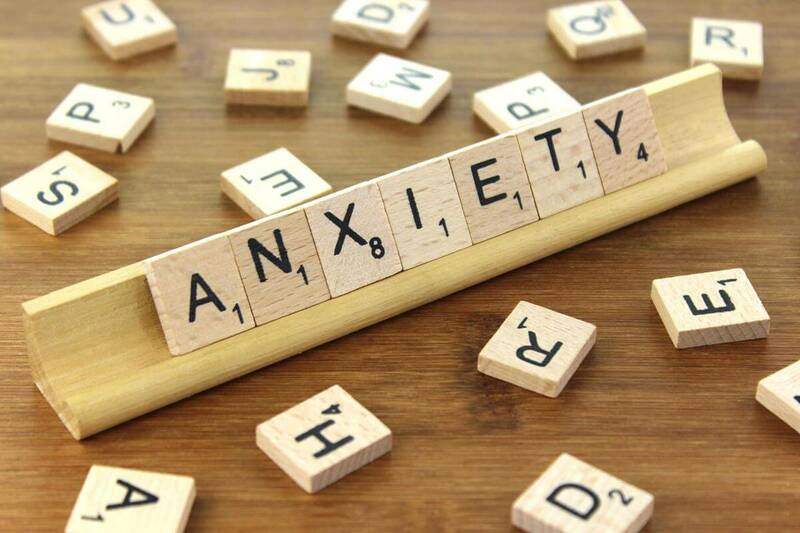 Professionals may also offer panic-focused psychodynamic psychotherapy or cognitive behavioral therapy to help you understand why you are experiencing this type of anxiety, and how you can work through it. If you are interested in speaking to a counselor who is well-versed in anticipatory anxiety who can lead you to the right form of treatment, feel free to visit https://www.betterhelp.com/start/. There are some small tips and tricks that can help you get through your bouts of anticipatory anxiety. Start out facing your anxieties by giving them the "is this realistic?" test. If you fear a snowstorm will ruin your vacation in the Bahamas, the answer would likely be no, and you should reason that the concept is not worth further thought. However, more realistic fears require another set of questions, like, "what's the silver lining?" or "what can I learn from this situation?" If there's nothing positive to find in the specific scenario (after you've tried your best to find something), then consider something that makes you happy in another aspect of your life. If you feel your emotions beginning to spiral, interrupt them with a positive thought. For everything that could go wrong, force yourself to think of an alternative that could go right. If you are hard on yourself, for everything you dislike, find something you love. This will keep the harsh thoughts from taking control. Sometimes, you have to deal with your anxiety head-on, which means getting to the root of the problem. It could be useful to take note of what is bothering you specifically, and how the anxiety is making you feel. Track what triggered it, how you feel physically, and what might make you feel better at the time. Yes, this is the complete opposite of the last coping mechanism - but hear it out. Sometimes, being present in your panic attack can be powerful. Live your fear and your anxiety for the moment, and you may feel more in control of the situation. Watch your knees shake, feel your palms sweat, and you'll realize while it might be frightening, it is manageable. The focus is key … just do it on something else! If you are very nervous, watch some television, search the web, go out and shoot some hoops, whatever it is that can take your mind off of the subject. Maybe have a dance break with some positive music! While often overlooked, getting enough "me time" and relaxation can have an extremely influential effect on conditions like anticipatory anxiety. When you are calm, negative thoughts don't come as frequently but are easier to swat away. How do you get to this stage of relaxation? Yoga is a great way to connect your body and mind, distracting you from troubles in your life. Similarly, progressive muscle relaxation can be useful, as some believe tension in the muscles is a response to emotional anxiety; so, releasing the physical strain may aid in letting go of the weight on your mind as well. Mindfulness meditation is also helpful in centering your attention on what is important and can be used in conjunction with deep breathing for relaxation. Guided imagery can also aid in directing the mind to a state of relaxation and zen. Finally, many like to journal as a source of catharsis, releasing their every thought onto paper, relieving it from inside. Remember that anticipatory is expecting the worse, so it's antidote is believing in the best - otherwise referred to as hope! Why Does My Anxiety Nausea Happen And Is It Real?